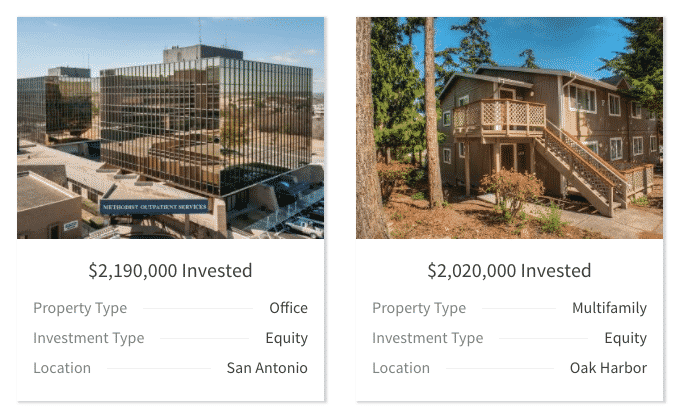 Home › Investing › Realty Mogul Review 2019 – Invest In Real Estate, Online! Realty Mogul is a crowdfunding real estate platform that allows investors to pool money to finance real estate purchases. As an online marketplace for real estate investing, Realty Mogul connects individuals and institutions to residential and commercial property investments across the United States. By pooling assets, investors can collectively buy real estate that may otherwise be out of reach, such as a multi-million dollar office building. Investors can make money either from appreciation in the underlying real estate or from cash flows. Another way to earn passive income is from MogulREIT I, an online Real Estate Investment Trust, which invests in a broad selection of properties nationwide, and is designed to pay investors an attractive and consistent yield while offering real estate companies an alternative and faster source of financing than big banks. With as little as $1,000, you can get started investing in residential and commercial real estate opportunities that have been vetted by experts. What Is Your Money Invested In? How Does Debt Investing Work? Realty Mogul investors get access at lower cost and can diversify property risk better than would be possible by investing solo. If passive income is important to you yet the ups and downs of the stock market make you nervous, Realty Mogul is worth checking out. Real estate got a bad name during the 2007-2009 period, but over a 15 year duration either side of the economic downturn, the asset class still produced a higher return than the S&P 500. Where Realty Mogul shines is by making real estate accessible to individuals who would otherwise have to roll up their sleeves, perform due diligence on individual properties, jump through legal hoops, and tie up a hefty chunk of net worth in single real estate investments. By pooling the assets of many individuals and pre-vetting real estate opportunities, Realty Mogul shoulders the burden of due diligence and provides investors exposure to a broader range of real estate investments that diversify financial and geographical risk. And by investing as a group instead of individually, investors can get started with as little as $1,000. As an online peer-to-peer lending marketplace, Realty Mogul connects investors to real estate companies who want access to capital faster than they might otherwise be able to source it through big banks, so both investors and real estate companies win. Non-accredited, accredited and institutional investors can invest via the Realty Mogul online marketplace. Realty Mogul can be described as a marketplace lender, peer-to-peer lender, and crowdfunding platform, but they all essentially mean the same thing. 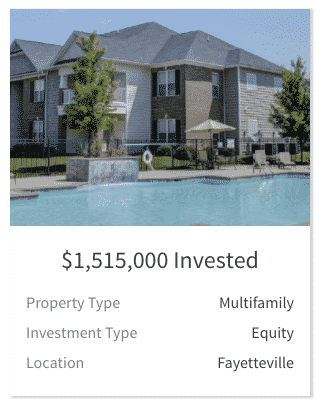 Realty Mogul connects investors who want real estate exposure with real estate companies that need capital, either equity or debt. Whether you are accredited, non-accredited or an institutional investor, Realty Mogul provides opportunities to invest in real estate. Once you open your account, you can browse investment opportunities, check out due diligence materials, and sign legal documents online. And once invested, you can view your investor dashboard 24/7 to see how your investments are performing. Non-accredited investors are restricted to the MogulREIT while accredited investors and institutional investors can choose among a wider variety of private real estate investments. Depending on whether you are an accredited, non-accredited or an institutional investor, you will have different investment options available to you. The definition of an accredited investor is someone who has an income of $200,000 annually for each of the last two years or $300,000 combined if married – or a net worth of $1,000,000+ excluding a primary residence. If you are a non-accredited investor, you will be restricted to invest only in the MogulREIT I, which invests in and manages a diversified portfolio of commercial real estate investments. The investments can be in the form buying loans or equity in commercial real estate ventures. To get started investing in the MogulREIT I product, you need just $1,000 and can invest in increments of $1,000 thereafter. If you want to invest as part of a self-directed IRA, the minimum investment is $10,000. Registered Investment Advisors are required to invest a minimum of $25,000. Usually, you can take your money out each quarter when redemption windows open up. If you meet the net worth or income requirements to be an accredited investor, Realty Mogul makes a wider variety of investment choices available to you. Like non-accredited investors, you can invest in the MogulREIT, but you can also invest in equity and debt. Equity investments can take the form of multi-family, office, industrial, self-storage, retail, medical, office, and hospitality. The way it works is that you purchase shares in Realty Mogul Limited Liability Company, an “LLC” that in turn invests in an LLC or Limited Partnership (“LP”) that owns the property. Generally, you can expect to receive distributions each quarter, though you should make sure to read the small print for any investment you choose. If for some reason a project requires more money than has been contributed, you are not subject to capital call risk. Instead, investors will be diluted if more money needs to be raised. For tax purposes, the LLC will be treated as a partnership, and you can expect to receive a K-1 tax form that you can file with the IRS alongside your regular tax forms. Institutional investors can purchase Platform Notes or whole loans, which are secured. Accredited investors are permitted to purchase Platform Notes only, which are unsecured. Beyond the MogulREIT I and equity investing opportunities, accredited investors and institutional investors can also invest in debt. When you invest in loans, you either purchase a whole loan or acquire a borrower payment dependent promissory note, called a “Platform Note” from Realty Mogul, Co. Note that only institutional investors are eligible to purchase whole loans and typically a $25 million minimum is set for institutions; these whole loans are secured by real estate. The Platform Note is unsecured and the performance is tied to the underlying real estate loan. By purchasing the Platform Note, you can receive periodic payments if and when the borrower makes interest payments. If for any reason a loan defaults, you are not liable to fund further amounts beyond the initial investment. However, if you purchase a whole loan as an institutional investor, you are on the hook to commit more money to pay for foreclosure costs in the event of a loan default. Generally, debt investors can expect to get paid monthly. And when it comes to tax reporting, you should expect to receive a Form 1099 annually. On the Realty Mogul online platform, you can invest in a 1031 exchange, which is a way defer capital gains taxes. A 1031 exchange is a way to defer capital gains tax when real estate is sold. When you exchange property for like-kind real estate, you can defer Federal taxes and use proceeds to purchase replacement property. For the most part, when you own business or investment property, it qualifies for a 1031 exchange. Property Type Qualifies for 1031 Exchange? You must actually own the asset to qualify for a 1031 exchange, so a debt investment doesn’t count. Even a direct investment doesn’t qualify for a 1031 exchange because they are interests in a promissory note. A qualified intermediary known as a 1031 Accommodator is used to exchange funds from the sold property to the bought property. Within 45 days of selling the initial property, investors must identify replacement properties with their 1031 Accommodator. 100% of net sales proceeds are invested in the replacement properties. An equal or greater amount of debt is assumed on the new property compared to the original one. Within 180 days, the replacement property must be closed on. Where Realty Mogul shines is that you don’t have to already own a 1031 eligible property to be able to invest. Cash investors who use non-1031 money are still eligible to participate in 1031 exchanges. And once the investment has been made, the investment funds become 1031 eligible for future 1031 exchanges. All property investments are pre-vetted by a highly experienced investment committee which has resulted in over 140,000 investors joining the platform, $300 million invested and $65 million+ paid out to investors. ✅ Low Minimum: For just $1,000 you can get started investing in private equity real estate while diversifying risk and eliminating the traditional hassles associated with buying a property outright. ❌ Restricted Debt Investments: To purchase loans outright, you must be an institutional investor, however non-accredited and accredited investors can invest in equity opportunities. ✅ Pre-Vetted Investments: The investment team has transacted over $5 billion in real estate during their careers, and never offer highly risk investments, such as construction or raw land. ❌ Access To Cash: Once you commit your money, you are locked into deals for the duration of the investment terms. ✅ Access to Commercial Real Estate: Before crowdfunding, commercial real estate was accessible mostly only to accredited investors and institutional investors, but Realty Mogul opens the doors to this asset class to non-accredited investors. ❌ Fees: Realty Mogul fees are variable depending on what real estate investment you choose. Fees cover legal and administrative expenses, as well as ongoing reporting. The fees are transparent for each deal. ✅ 1031 Exchange Investments: You don’t need to own an existing property to qualify to invest in a 1031 exchange that has federal tax deferral benefits. ✅ Diversified Real Estate Investments: By investing in property via Realty Mogul, you can spread risk across multiple geographies and properties while risking a lot less than if you had to do so by yourself because of the economies of scale benefits from pooling investor funds. ✅ Taxable & Retirement Accounts: Both taxable and retirement accounts are eligible vehicles for real estate investments. ✅ Licensed Investment Specialists: If you have any questions, you can speak on the phone with licensed investment specialists and even visit investment properties upon request. ✅ Passive Income: Debt instruments pay as often as monthly while equity investments and MogulREIT I investments typically pay quarterly, so passive income investors can look forward to regular payouts. Realty Mogul is a real estate crowdfunding platform. If you have at least $1,000 to invest in real estate, this platform may help connect you with a wide variety of real estate investors, sponsors, and investment vehicles so that you can diversify your real estate portfolio and invest more quickly than you would if you used a traditional real estate broker. One of the biggest advantages of investing via this platform is that it simplifies what is often a complicated process. Purchasing real estate is generally not easy — there are a ton of legal and tax requirements and it’s hard to predict how much maintenance will cost on a given property. However, Realty Mogul makes it easier by pre-vetting all properties and then allowing you to purchase the ones you are interested in with just a few clicks of your mouse. There are often unexpected expenses when purchasing property, but with Realty Mogul you won’t find yourself in a position where you have to come up with additional capital beyond your initial investment in order to finalize the deal. Instead, your investment is diluted if more money is needed to cover closing costs or if closing requires a member loan with greater than 10% interest. Unlike when you invest in a REIT, you aren’t investing in a group of properties. With Realty Mogul, you pick the properties that interest you and invest in them directly. This gives you greater control over your investment than you would find if you invested in a REIT. Realty Mogul does the hard work of vetting investment properties for you before they offer them on the platform. This means you never have to worry about purchasing a property that later turns out to need a lot more repairs than you realized or otherwise not be as good an investment as advertised. Realty Mogul also does background checks on principals, so you will never get scammed by a criminal posing as a property owner. While Realty Mogul does offer two private REITs that non-accredited investors can put money into, the rest of the platform is closed to those who make less than $200,000 a year or have a net worth of less than $1 million. In addition, you need a minimum investment of $1,000 to begin investing using Realty Mogul.